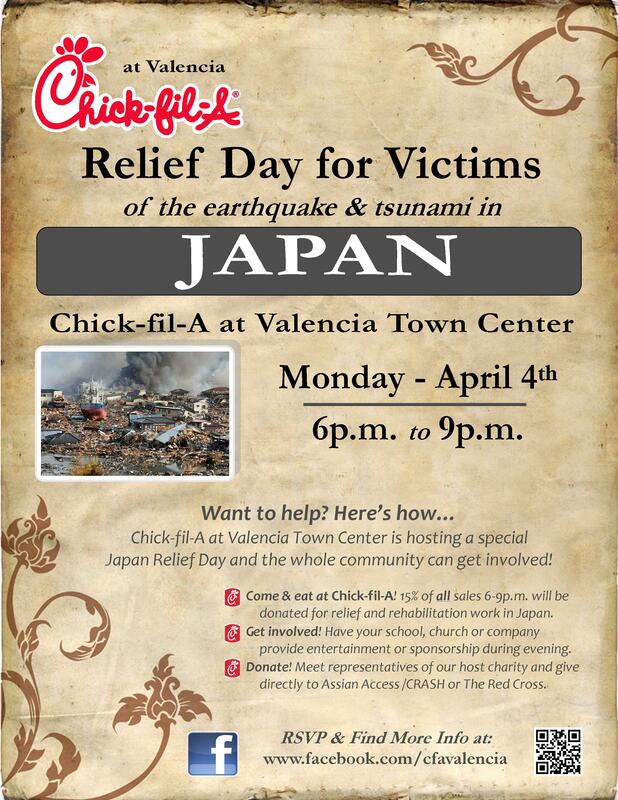 Peter Thomson’s brother, David, has arranged with the manager of Chick-Fil-A in Valencia, CA to do a special fundraiser on April 4th to go towards tsunami relief. Wish we could be there! But there will be staff from Asian Access and a video from Peter and the guys. If you live anywhere nearby, we’d love it if you can go and eat a chicken sandwich and drink a lemonade for us – to benefit the victims in the tsunami. Wow! That’s awesome! Our church will have a baked potato lunch and pie-auction this coming Sunday. I LOVE that people are doing what THEY do best! Now, I need to find a pie recipe that…doesn’t take crust or filing! HAHAHA! Cheese cake…er cheese pie?